Baserat på PHI:s befintliga HoloMonitor-teknik, har institutionen för Immun­teknologi vid Lunds Universitet och Phase Holographic Imaging (PHI) avtalat om att gemensamt utveckla nya metoder för 3‑dimensionell cell­odling. Detta för att möta ett akut och snabbt växande behov av dessa metoder inom cancerforskningen. Based on PHI’s current HoloMonitor technology, the Department of Immunotechnology at Lund University and Phase Holographic Imaging (PHI) recently agreed to jointly develop novel 3-dimensional cell culturing methods to meet the urgent need for such methods. Digital holographic imaging is a label-free, non-toxic quantitative method that can be used for single cell analysis for a long time period. 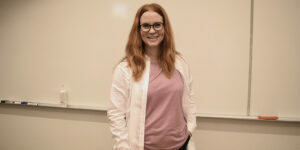 Sofia Kamlund, PhD, Lund University and Phase Holographic Imaging, has used this method in her thesis Not all those who wander are lost – A Study of Cancer Cells by Digital Holographic Imaging, Fluorescence and a combination there of. 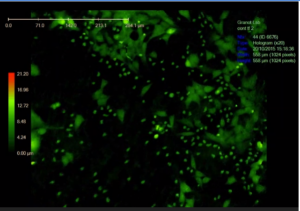 The technique allows the researcher to follow changes over time and evaluate cell response on living cells. Sofia Kamlund has studied Cell Division and Cell Movement using Digital Holographic Microscopy. Her research presents new ways of analyzing individual cells by using Holographic Microscopy alone or in combination with Fluorescence Microscopy. PHI had a successful Holomonitor User Meeting where we discussed how to use HoloMonitor with focus on cancer research. The presentations showed new methods within cancer research and cell biology. The Board of Directors and the CEO of Phase Holographic Imaging PHI AB (publ), corporate identity number 556542-7811, hereby submit Interim Report 1 for the fiscal year 2018/19. 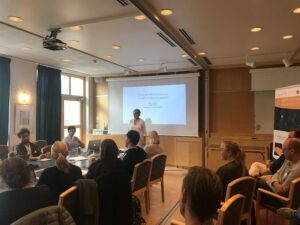 Aktieägarna i Phase Holographic Imaging PHI AB (publ), 556542-7811, kallas härmed till årsstämma onsdagen den 26 september 2018 kl. 17.00 i bolagets lokaler, Scheelevägen 22 i Lund.